Singer-songwriter Hikaru Utada has provided theme songs for Kingdom Hearts since the very first installment of the franchise. Since 2002, fans have been blessed with beautifully memorable tunes from Utada, between Kingdom Hearts 1's Hikari and Simple and Clean, and Kingdom Hearts 2's Passion and Sanctuary. Kingdom Hearts 3's Oath and Don't Think Twice were unveiled in February at D23 Expo 2018 Japan, almost a year before the game itself would even be released. The song immediately captured the hearts of listeners, who felt that it would be the perfect end to this 16-year-long saga. However, there was still the game's opening to consider. Past theme songs had two variations to fit the fast-moving pace of the traditional Kingdom Hearts CG openings, with a slower or lengthier version playing as the credits rolled. With Oath and Don't Think Twice having already been revealed, it seemed safe to assume that the song would simply be remixed like the others. It never occurred to anyone that the possibility would exist for a second theme song altogether. Now, Kingdom Hearts 3's opening theme song has been officially confirmed to be "Face My Fears", a collaboration between Skrillex and Utada Hikaru. It will be released alongside the English-language ending theme "Don't Think Twice" on January 18, 2019. Video Game "KINGDOM HEARTS III"'s Opening Theme "Face My Fears", a Collaboration with Skrillex, Releases January 18, 2019! It's already been announced that "Oath" would be the ending theme song of the newest entry of the "KINGDOM HEARTS" series created by Disney and SQUARE ENIX, but now an opening theme for "KINGDOM HEARTS III" titled "Face My Fears" is on the way. The song "Face My Fears" is a collaboration by world-class electro-musician Skrillex and Utada Hikaru! For years, Skrillex has been an outspoken fan of "KINGDOM HEARTS". Hikaru Utada, who's become close friends with him, initially requested that he create an "Oath" REMIX for the opening. 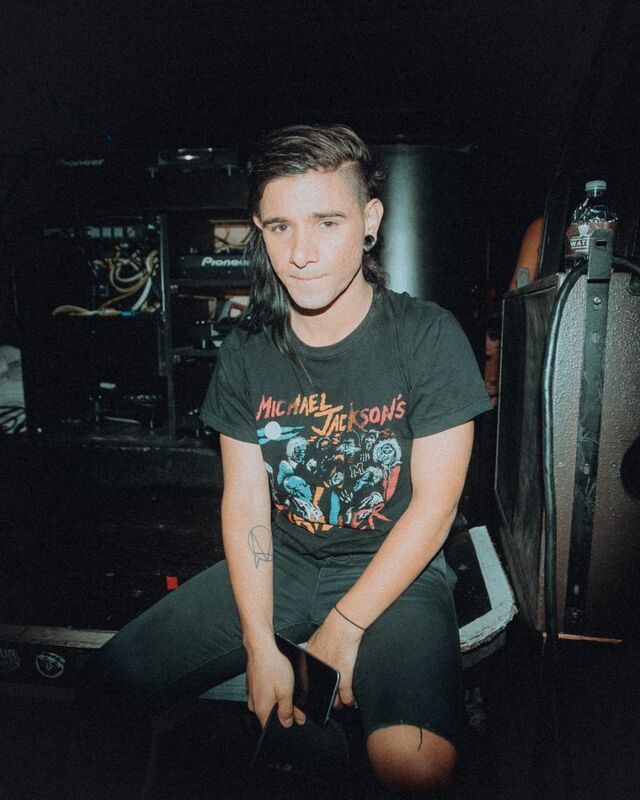 However, Skrillex responded: "I want to make a new song instead of a remix." From that counter-offer, this theme was born. "Face My Fears" is also produced by a third artist, Poo Bear (who worked on Justin Bieber's "What Do You Mean?" Etc.) who also handles a lot of collaborations with Skrillex and will help put the finishing touches on the opening theme of the game! This is the first time two different songs have been used for the opening and closing of a "KINGDOM HEARTS" game. The Japanese version and English versions of the themes, "Face My Fears" and the ending theme "Oath", will be released on January 18, 2019! This marks the first time Utada Hikaru has released a CD for a single in 11 years since "Prisoner Of Love" released in May 2008. Catch this when it drops! I wonder if that means there will be parts of DTT left in, or if they cut it away completely. I'm so excited to know this new song is seemingly born of an actual friendship. Gosh that's so long to wait for the songs, but it makes sense. I am happy to learn more of the backstory behind this. I am still super psyched. Oh heck yes, so it sounds like this will also be the first time KH gets a single OP track instead of two variations, which oh my gosh girl just do this beautiful bilingual blend I have been dreaming of since that perfectly merged Passion/Sanctuary for In the Flesh. It's not like Utada doesn't know how to swing between languages already. I do have a feeling the track is going to be English-language though, which you know what it's fine, Japan just got two full albums I'll take a major theme track. Also still just as excited for DTT. Admittedly I would have loved to hear what a remix of it sounds like but in both love and war there must be casualties. Now I wanna know if we will get an orchestrated version of both or just Donâ€™t Think Twice. Iâ€™m guessing the Orchestra version of DTT will be used for the â€œKairiâ€™s Letterâ€ opening credits sequence that plays when you idle on the title screen too long, if they bring that back instead of playing the game opening like the more recent games. Hmm yeah the English version of the announcement outright states there will be a Japanese and English version of both "Face My Fears" and "Chikai" so that's cool too. Anyway nice to get a physical release for it, though with it releasing ahead of the game, there's no way those tracks are going to be fresh once I boot up the first play through. Nope. Wow, so it was originally going to be a remix of Oath. Welp, I guess I'll just skip the opening or mute it. So much for trying to keep an open mind. You haven't even heard it yet. You do realize that Skrillex doesn't exclusively make the kind of bass-heavy dubstep he's famous for right? Don't jump to the conclusion that this song is going to be Scary Monsters and Nice Sprites 2.0. I seriously doubt there's going to be some massive bass drop during the opening cinematic, especially given that Skrillex is a massive KH fan. The dude obviously knows Simple & Clean and Sanctuary very well and probably loves them just as much as we do. If anything, that will lend itself well to the fact that he will want to do the opening for KH3 justice because he loves the franchise so much. Remember the days we doubted if we would even get one song from Utada? Now we are being bleseed with 2 of them. He still won't like it, then again most have been negative about the game or the same types of Im worried, what will ruin the game for me, etc' pops up every time and mostly new or same member. Hell he'd take one listen and hate it, I want to be surprised so won't listen to give a open mind of his work . If this was a singer to people's least favorite singers, it would be far worse than them. No, it doesnâ€™t. We heard Chikai long before it was actually released. I actually think all this info is coming out now because theyâ€™ll show the intro at either NYCC or Paris Games Week. You are honestly one of the most stubborn people Iâ€™ve ever seen. Do you like anything about KH3? Donâ€™t try. Heâ€™s being contrarian and judgmental because he made up his mind last week. Reminder that we also have an orchestral rendition of Chikai or Face My Fears to look forward to. I would have loved to have heard Skrillex's iteration of Chikai/DTT, but this is an undisputed gift, y'all. It's unprecedented. As others have mentioned, for the longest time, we weren't guaranteed Utada's return. Even if she never comes back for any future KH games, I'm forever grateful she's decided to close out the saga on such a high note like this. I'm itching to hear the new track! GAH. Wait, * this is going to be a dumb question *, I'm not getting it, what's the difference between Oath, Chikai and Don't think twice? Other question I have is, this means we will get the intro trailer 1/18 or before that? Or we are not even getting a intro trailer? To be honest, I was really looking forward to seeing â€œKINGDOM HEARTS IIIâ€ appear on the screen, and then to fly overheated as the opening notes of â€œDonâ€™t Think Twiceâ€ hit us for the opening cinematic. But Iâ€™ll definitely be excited to see how this goes. 1. I trust Skrillex to do a great job because he's a fan, Utada's involved, he's got a great track record, and all of this is ultimately going through a ton of filters of quality. There isn't a weak opening to date, there's no way Square is letting this one do nothing more than stun and amaze. 2. I am curious about the timeline of this entire thing. When he was approached, at what stage the development did the new song came about? Clearly, DTT had to have been completed and produced for the initial plan to be a remix. How then would the opening visual play into this?... I just want to be sure that the vision for the opening was completely unanimous to ensure the highest quality but I'm also probably just fretting. 3. Along the same lines: I'm getting conflicting reports as to who out of the pair suggested producing a new song. Did Utada intend for a remix and Skrillex put forth a new concept or the other way around? It does imply who has the more creative control in the onset. 4. I would like to think that an official release of the track 8 days before release would mean they'll sit on the opening 'till launch but that is wishful thinking. The opening of a game known in some part for its openings is viral video material and we are probably gonna get it in the coming months. I don't know if I can resist it before my self-prescribed news blackout, and it might be healthy to make my decision now to prevent elaborate guilt. I'm just gonna loop some older Skrillex tracks in the effort to capture the hypothetical feel of the opening. Chikai and Oath are the same thing: the Japanese version of the theme song. People tend to flip-flop between whether to refer to the song by the romanization or the English translation. Don't Think Twice is the English version. The song might be used in following trailers but who knows how much of it we'll be exposed to prior to its release. So if the single is releasing on the 18th, that means we will have the launch trailer by that point. Goodness, that's a little over three months from now. I did watch that since I had NEVER even HEARD of Skrillex before. Wow, I'm happy there are two songs, although I'd have liked a remixed version of DTT. I just wonder if both will get orchestra versions? I'm thinking DTT/Chikai will be the only one that gets orchestra treatment. This is why I dumped my expectations for KH3 and stopped any sort of "The game doesn't look/feel/sound the way I dreamed" because it just leads to disappointment. Everyone wants KH2 +1, so to speak. Let KH2 be its own thing and let KH3 be its own thing, including the theme songs. I don't think people realize how powerful the rose-tinted glasses of nostalgia really are. I've seen people complain over just about everything to do with this game, and it's mostly in regard to comparing it with KH2. My thoughts exactly. Why announce the song in a press release if it's not going to be heard for 4 months? Odds are we're going to hear some of it fairly soon. Oh, this is one of those situations? Yuck. Can't wait for them to buy the game for the sole purpose of ranting about how terrible it is afterwards. People are great. I wonder if, similar to Oath, we will hear a section of Face My Fears in an upcoming trailer before the full song is released. That's a little disappointing if true. I think the launch trailer featuring the new song would be better. Well, if it's going to drop the day before the release, then it better be good. This is really awesome. I'm glad that Skrillex had this opportunity, it's nice that a fan could contribute to something they love in this way. Hope we can hear it soon. Personally not a fan of skrillex nor poo bear. People have said on twitter that since skrillex has been a long time fan of Kingdom Hearts, that he'll know how to make the opening appropriate... but idk, I'm sure every kh fan has their own personal perspectives of what Kingdom Hearts music should sound like, so it's not very reassuring. XD Oh well, nothing can be done about it but wait to hear it once it releases. Just hope it's good. Best to not expect anything in particular and just take whatever we recieve for what it is. But you're right about everyone wanting different things. I, for example, am actually not much of a fan of the PLANITb remix of Simple & Clean, despite it being the very first song we hear in the entire series.